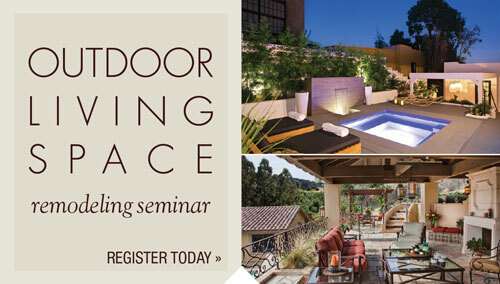 Click on the above seminar to register. 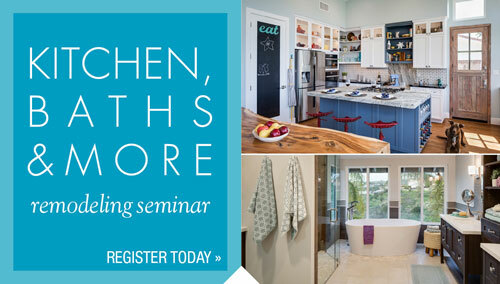 Join us for a selection of complimentary home improvement seminars. Whether you want to enlarge your home, add a granny flat, create an open floor plan, or just update your outdated kitchen or bath, join us as we explain the remodeling process, the benefits of utilizing an interior designer, how to ensure a return on your investment if you do sell and much more. Our project manager was a true professional, extremely affable and personable. He was easy to get along with and we have great respect for him. He did an amazing job. The people had some ideas my wife and I didn’t think about, but we incorporated them in our project which really enhanced the look of our home. Everything ran smoothly, glitches were spotted early on and resolved before they became issues. Our project designer had excellent ideas that took our vague ideas and made them a reality. Just wanted you to know I had my three best friends over last night for their first viewing of my new home. I must tell you they were speechless! But when they could talk, they raved and raved.